Dr. Stefano Ragozzino, O.D. is a native of Southington, Connecticut. He received his Bachelor of Science degree in Biology from Fairfield University in 1996, where he graduated with honors. 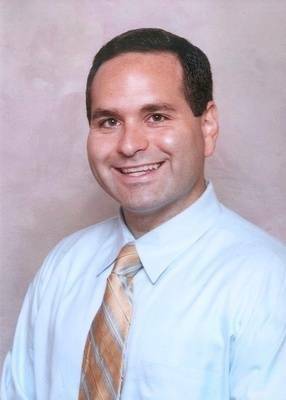 In 2001, Dr. Ragozzino went on to receive his Doctor of Optometry degree from the Southern College of Optometry, located in Memphis, Tennessee. Dr. Ragozzino practiced in Connecticut prior to his move to Florida in 2005. In November 2007, Dr. Ragozzino opened his independent private practice in North Port, conveniently located inside the North Port Walmart Supercenter. Dr. Ragozzino has continued to grow his practice and is passionate about caring for his patient's needs. Dr. Ragozzino is a member of several organizations including the Manasota Optometic Association, the Florida Optometric Association and the American Optometric Association. When not caring for patients, Dr. Ragozzino focuses his attention on family. He enjoys spending time with his wonderful wife, Dr. Amy Ragozzino, and two beautiful children. Dr. Ragozzino enjoys playing softball, racquetball, golf and staying informed about current events.